Sorry, Barry Manilow. We love beagles too, but you should really only bring service animals into the library. In this photo: Barry Manilow, Tatiana Jones, Susannah Cleveland and Bagel the beagle. Photo by Liz Tousey. 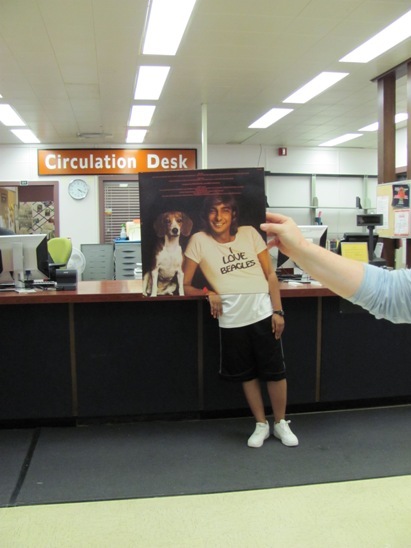 This entry was posted in Pop and tagged Barry_Manilow. Bookmark the permalink.